The ALC campus is home to numerous sports facilities. Students are free to use the various athletics facilities during predetermined hours of operation. Phase 1 of the new state of the art Campus Center was completed and opened in August of 2018. Phase 1 houses a new student activity zone with a state of the art fitness center, a new gymnasium, locker rooms, and office spaces. The second phase, currently under construction, will replace the Grady Nutt Athletic Center with a beautiful, modern Convocation Center/Gymnasium with room to host a multitude of functions. It will feature four locker rooms, a training room, concession area, and an elevated indoor running track, in addition to a new arena for home games. The final project is expected to be complete by December of 2019. This modern intercollegiate baseball park serves as the site of the home games for the Alice Lloyd College Eagles baseball team. The College has two championship tennis courts available for intercollegiate, intramural, and individual play. 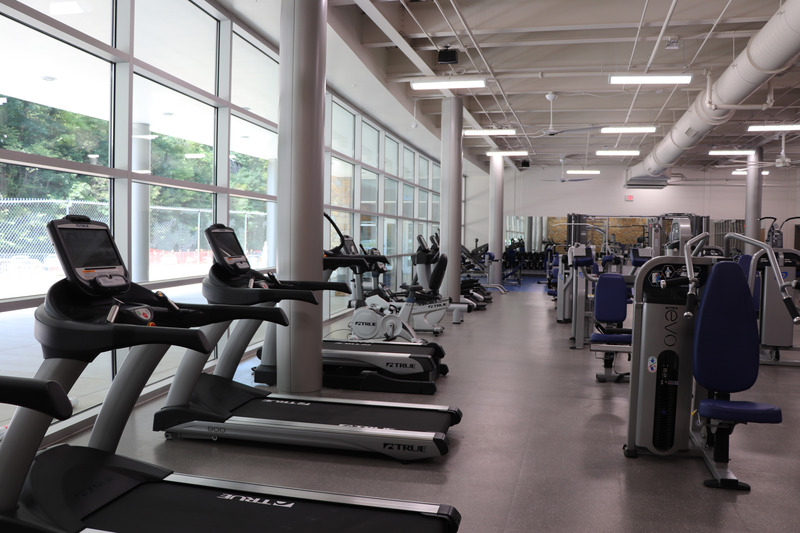 The new Alice Lloyd Campus Center, which opened in September 2018, houses a state of the art Fitness Center. This impressive area contains one of the finest small-college facilities you will find anywhere. It houses top-of-the-line Nautilus weight machines, free weights, and cardiovascular equipment. The entire room has a beautiful view of picturesque Caney Creek and is available exclusively for use by the students, faculty, and staff of the Caney Creek Community Center. 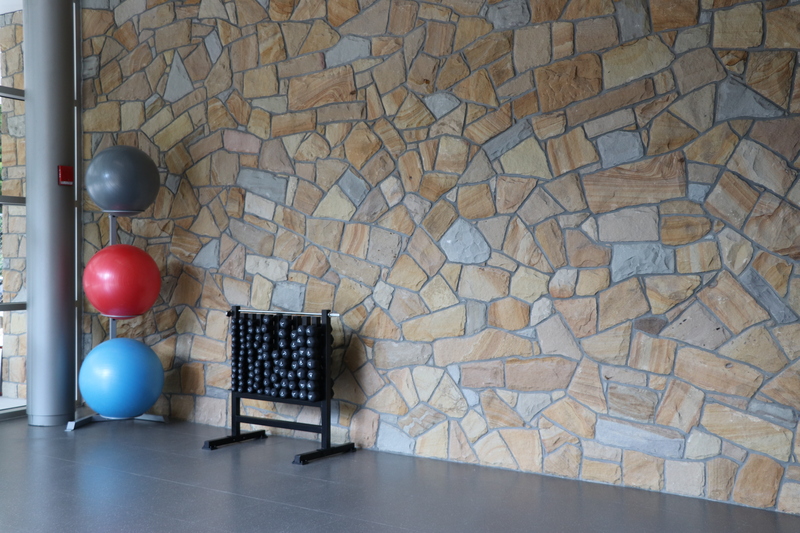 In addition, a new Aerobics room is adjacent to the Fitness Center. This area, which is available for both class and individual use, has different pieces of aerobics and stretching equipment available for students, faculty, and staff of the Caney Creek Community Center to utilize. It also has a lovely Creekside view and is a fantastic place to get your heart rate pumping. Also located in the Jerry C. Davis Student Center, the campus’s two racquetball courts are available for individual play. The softball field is the newest addition to the ALC athletic facilities. This field, located near the Reeve Athletic Field, serves as the site of the home games for the Alice Lloyd Lady Eagles softball team.